CLICK HERE for a PDF printable copy of the VCCC judging criteria. The vehicle is to be judged for itself. It should make absolutely no difference where, how, or who restored the vehicle. The vehicle must stand entirely on its own merits. The vehicle must be viewed as an object aside from personalities, cash outlay, professional or amateur restoration. The Chief Judge is appointed annually at the Spring Board of Governors meeting. The Chief Judge is the final authority on all matters related to judging and shall make the final decisions. Their appointment will be for a one year period. In case of doubt, Senior Judges, (CCJ’s, Chief Class Judges), should consult with the Chief Judge. The Chief Judge may dispense with any items or combination of items relative to judging if they deem it necessary. Re judging events: The Chief Judge must ensure that enough judges have been selected and are well versed in their role prior to judging. Organization and presentation of the trophies will be made by the Chief Judge or his/her designate. The Chief Judge may choose to dispense with items 2 – 4 below if they feel they can do what is required without the assistance of an Assistant Chief Judge, National Field Marshall and Judging Committee. The Chief Judge may require assistance and should be free to ask anyone they chose to help them. The Chief Judge will liaise well in advance with the May Tour Chairman to ensure a successful May Tour judging format. The Assistant Chief Judge may be appointed by the Chief Judge for a one year term. It is intended that the person will have served in the capacity of a (CCJ) Senior Judge; however, any member of the VCCC would be eligible at the discretion of the Chief Judge. c. To act in place of the Chief Judge. d. To be responsible to check off the cars upon completion of the qualifying run. A Committee maybe appointed and chaired by the Chief Judge. Application to become a member of the committee is to be made in writing to the Chief Judge. Senior Judges of the immediate past May Tour or the impending May Tour are encouraged to apply to be members of the Judging Committee. Consultants, as may be deemed appropriate by the Chief Judge, may also be members of the Judging Committee. c. To ensure that all the trophies are accounted for and that the engraving is kept up to date. Engraving Costs, Keeper Awards and Award Ribbons are to be paid by the National. The Chief Judge is responsible for all of this and may decide not to have a Judging committee. The Chief Judge will be responsible to ensure the trophies are shipped to the Tour location. The hosting Chapter is responsible for receiving them and updating them with the help of the Chief Judge. The Chief Judge will insure a judging meeting is arranged before the judging meet, insure scoresheets are ready, and to oversee the display of Trophies for the presentation process. A written list of the Chief Judges responsibilities are kept on file and available from the National President. The Chief Judge will designate the judging teams and appoint the CCJ for each Team. Individuals should notify the Judging Committee or Chief Judge if they wish to become a Senior Judge. The Senior Judge will head a team of two other judges in each vehicle class. It is expected that the (CCJ) Senior Judge will have previous experience and be reasonably knowledgeable in the types of vehicles involved. The (CCJ) Senior Judge would normally have the final say in matters relating to the class being judged but in cases of serious disputes, would refer to the Chief Judge for a final decision. The (CCJ) Senior Judge is responsible to ensure that their team of three judges is available for their judging duties. The (CCJ) Senior Judge is responsible for the collection, verification and submission of the judging scoresheets. The NAACC Judging guidelines are the basis for the VCCC judging format. Refer to www.naacc for the overall approach to judging. a. When judging, mark on the judging scoresheet the points deducted. When you have judged the entire vehicle, add up the total number of points deducted and subtract that number from 1000 to get the final point score. Sign the scoresheet and turn it in to the (CCJ) Senior Judge. The Vehicle Owner must be present at the time of judging unless prior arrangements have been made with the Chief Judge. Judges will not raise hoods, open glove compartments or trunks nor will they disturb any setting of brakes, switches, etc. Judges will not raise hoods, open glove box compartments or trunks nor will they disturb any setting of brakes, switches, etc. b. Consultation between judges on technical matters is permitted. Each Judge is to judge independently, speaking to no one about point scores. Any questions should be directed to the (CCJ) Senior Judge. c. Judges are to refrain from discussing point deductions with the Owner. Under no circumstances should a Judge be drawn into a position of justifying any part of the judging with anyone. It is advisable to “scan the field” before judging to get a “feel” for the vehicles present. However, if after judging the number of vehicles you realize you have made an error and have not judged the vehicles fairly, you are at liberty to go back and correct the mistake. Initial each change you make. Under no circumstances should a Judge reveal his/her score sheet to another person. d. No smoking while judging. e. Do not use the vehicle as a desk when marking the judging form. f. Some concessions should be made where replacement items are used to replace original equipment that is no longer available. These replacement items should look and perform as well as or better than original equipment. Examples would be: multi-ply windshield blades, original script batteries with new, old style, script batteries, original style tires, oil filters, fan belts, radiator hoses, etc. No deductions for normal tire wear. g. All folding tops must be up for judging. A folded down top will incur a 50 point deduction unless the Chief Judge waves this requirement. Before deducting check with the Chief Judge the day of the event. h. Be careful not to deduct points twice for the same fault, e.g. deducting points for dented headlamp under the “bright work” section and again under the “electrical equipment” section. i. Points are not to be deducted where modern safety glass has been used to replace original glass providing appropriate logos are reapplied. A vehicle with appropriate logos to receive full credit. Incorrect logos are a 1 point deduction for each window. j. Points are not to be deducted where turn signals or seat belts have been neatly and carefully installed or where original cowl lamps or tail lamps have been altered to function as turn signals. k. If there is doubt in the mind of the Judge as to whether an item is authentic or not, points will not be deducted. In cases of uncertainty, the decision must be in favour of the vehicle. l. In order to complete the safety check it is required that the Owner or their representative be present so that the engine can be started, the lights turned on, brakes applied, etc. If the Owner is not present and cannot be found, no safety check will be performed and, as a result, this section will score zero. m. Keep in mind, first and foremost, motor vehicles were designed to be driven, there were defects in manufacturing and defects created through use. Therefore, it is essential that penalty points be deducted in proportion to the importance of the defect. n. When there is some aspect of a vehicle which is unusual or difficult to imagine to be true, it is incumbent upon the Owner to furnish proof of authenticity to the (CCJ) Senior Judge. It is the responsibility of the Senior Judge to recognize and confirm the vehicle is authentic. If in doubt confer with the Chief Judge. Judging results will be given to the Owner, upon request, at the end of the tour. It is intended that all Owners who have had vehicles judged will pick up their judging results and use them to assist with further restoration work where necessary. Any results not claimed within 30 days after the tour may be destroyed. A permanent record will be kept of all Best of Class vehicles, which will automatically be elevated to the Senior Vehicle Class. Best of Class recipients will receive an information feedback sheet. It is the vehicle owner’s responsibility to fill out and mail in the Best of Class information sheets to the Chief Judge after the May tour. The Chief Judge will not chase owners for this information. The highest point first place vehicle in each class will be deemed to be the Best of Class and will receive the appropriate trophy. At the same time, if the vehicle scored 950 or higher it will receive a Senior vehicle plaque and oval medallion and will be elevated to Senior Vehicle Class providing it scored 950 or higher. This will mean that the vehicle cannot again enter the same classification as a junior vehicle and will now compete in the Senior Vehicle Class. This will ensure that new winners are eligible each year for the Best of Class awards and, at the same time, encourage older restorations to come out for judging. All vehicles which have previously won a Best of Class Medallion scoring 950 points or more are eligible to compete in this class. Every Senior vehicle that scores 750 points or more will receive the appropriate 1st, 2nd or 3rd place award. The highest point vehicle of the Senior class, scoring more than 899, will receive the “Best Senior Award” and will be moved into the Preservation category for all future judging events. If the vehicle changes ownership, the vehicle will remain in the appropriate category. All Senior vehicles may compete every year in the Senior category until they have won the category with more than 899 points and are the highest point vehicle in the class. Only previous Best Senior Vehicles are eligible for this award. At the first meet after becoming a Best Senior Vehicle and where the vehicle scores 900 points or more, it will be awarded a PRESERVATION AWARD PLAQUE. More than one plaque may be awarded in this category. At subsequent meets Best Senior Vehicles that have won the Preservation Award Plaque and score 900 points or more will be awarded an additional Preservation Oval Badge that may be affixed to the plaque. They will also be awarded 1st, 2nd or 3rd place ribbons. Vehicles must score 900 points or move to receive an oval medallion. This award is given to the highest point vehicle of the meet. In case of a tie multiple awards will be given. There is also a perpetual award that is updated every year. This award should be presented by the NAACC Chief Judge or their designate, i.e. the Provincial VCCC/NAACC representative. The NAACC recipient will receive a keeper trophy and a metal oval numbered NAACC recognition badge that is to be affixed to the vehicle. The foregoing general judging guidelines cover all vehicles being judged with the exception of specialty categories of vehicles which will issue their own judging guidelines. Where these specific judging guidelines have been issued by the Chief Judge or Senior Judge of that category, they will replace the general guidelines wherever any conflict occurs. In order for the judging meet to be successful it is imperative that the Judges have read and thoroughly understood the “Judging Guidelines” well in advance of the meet. In addition the “Judging Guidelines” should be read by the host chapter Judging Committee if there is one. Any questions, possible problem areas, etc., should be sorted out by the Show Chairperson and the Chief Judge prior to the judging meet. January Print revised Judging Rules in “The Vintage Car” magazine. May Tour Chairman to be contacted regarding the requirements (i.e. acreage, layout, etc.) of the special Judging Area. March Letters or notifications to be sent to chapters and/or prospective Judges asking for their assistance. Confirmation is needed. A request to judge should be included in the May Tour application form. April After April 15th order all keeper plaques made for Perpetual trophies. April Check the supply of ribbons and re-order. Order Special Awards and May Tour Chairman’s Awards. The dies and photo copies of the trophies are kept on file at the ‘Trophy Centre’ in Port Coquitlam, BC. Spring At the Spring Governor’s Meeting the VCCC National Board of Governors to appoint a Chief Judge. May The day of judging, before the judging commences, an “Official judges meeting” is called by the Chief Judge to explain the procedures, layout, etc. It is recommended that this be a breakfast meeting and paid for by the National. Only vehicles which have been preregistered for judging by April 15 will be eligible for judging. Only preregistered vehicles will be permitted in the judging area unless authorization has been given by the Chief Judge. To be eligible for judging the vehicle must be available at the appointed time, ready for examination, with their owner or designated representative present. Vehicles without owners or their designate will not be started or judged for safety. They will not be judged in any area unless they have been preauthorized to do so by the Chief Judge. A notification will be placed on the windshield advising the owner when the judge team will return. If the owner is not present upon the return of the judging team, the vehicle will not be judged and it will be disqualified. The Chief Judge will make the final decision for disqualification from the judging process. i. Authorized by original manufacturers’ literature provided by the Owner. d. They did not complete the qualifying run, a total of 5 miles driven on paved roads. The qualifying run may be shortened or dispensed with at the discretion of the Chief Judge. e. They do not have an approved fire extinguisher. Motorcycles are excepted from this requirement. A windshield notice will be used to indicate that the vehicle has passed the qualifying conditions. The Safety Check results are recorded on a separate form and added to the total of the main judging sheet. Automobiles must be displayed with the hoods up and tops up in the case of convertibles or other vehicles with folding tops. A mandatory 50 point deduction will apply if the top is not raised for judging unless the Chief Judge grants an exception. Rumble seats should be opened for inspection. Trunks and glove compartments should be left closed as these areas are not judged. It is suggested that wherever possible the pre-judging run be designed in such a way that the vehicles return to the hotel or motel parking lot or at least to an area which is paved and near the main tour headquarters. This makes the judging much easier, especially in inclement weather. It also does not ‘trap’ people out in rural areas for lengthy periods of time while the judging takes place. 4) Early Ford V8 32 – 53 US, 32 – 54 Can. 25) Preservation As defined by the NAACC. Eligible for ALL previous ‘Best’ Senior Vehicles. 26) Flower Vehicles Hearse, Procession vehicles, Ambulances to 25 years (Refer to Eligibility Rules). NB Vehicles newer than 1975 MUST have the Chief Judge’s approval to be entered for judging. Refer to eligibility Rules. a. Best of Class winners will receive a keeper trophy as well as their name engraved on a perpetual trophy. They will also receive a Senior Vehicle Badge which must be displayed on the vehicle when the vehicle is being presented for further judging. It is suggested that the badge be affixed to the vehicle in some easily identified location. The badges are numbered and a permanent record is kept. b. First place winners of each class will receive a Blue & White Rosette Ribbon. 900 to 1000 points are required to be a first place winner. c. Second place winners of each class will receive a Red & White Rosette Ribbon. 825 to 899 points are required to be a second place winner. d. Third place winners of each class will receive a Green & White Rosette Ribbon. 750 to 824 points are required to be a third place winner. Costs: All of the above Ribbons and all Keeper Trophies will be paid for by National. a. Pre War Lord Montagu Award. This award is presented to the highest point best first time judged vehicle at a May Tour (must score 900 points or more). The award can only be won one time. The winner must be a member of the VCCC. The vehicle must be 1944 or older. b. Post War Lord Montagu Award. This award is presented to the highest point best first time judged vehicle at a May Tour (must score 900 points or more). The award can only be won one time. The winner must be a member of the VCCC. The vehicle must be 1945 – 1975. Vehicles newer than 1975 must be approved by the Chief Judge. c. The Studebaker-Packard Trophy is awarded to the Best Senior model Packard judged on the tour. A Senior model Packard is defined as any Packard that is not in the model class of the following: 110 Special, 115B, 115C, 120, 120B, 120C, 200, 250 & Clipper; except where a custom body is fitted. VCCC judging rules apply. The winning car must achieve a minimum of 825 points. d. The Irish Veterans & Vintage Trophy is awarded to the best prewar (1916 to 1946) European car judged on the tour. It is not necessary that the that the Owner be a member of the VCCC. The vehicle must have been manufactured in Europe and judged in one of the regular classes. 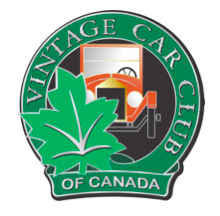 e. The Best Canadian Classic Award will be presented to the best ‘true’ Classic car owned by a Canadian resident. The car must have been judged in the Classic car category. The vehicle must achieve a minimum of 750 points. f. The Long Distance Trophy is awarded to the participant who has driven (not trailered or towed) their vehicle the farthest distance to the tour. The distance travelled will be the shortest route between the owner’s residence and the site of the tour. Vehicles will receive a handicap related to the age of the vehicle (mileage driven times the age of the vehicle). g. The Hard Luck Trophy needs no explanation. h. The Most Desired Car is awarded on the basis of “Peoples Choice”. Every person attending the tour will be allowed one vote. Ballots will be provided in the Tour Package or by registration number at the Tour Headquarters. It is the Chapter’s responsibility to oversee the selection process and notify the Chief Judge of the results prior to the Awards ceremony. i. The President’s Awards will be awarded to the restored vehicles receiving the highest point total from the Judges. It will be presented by the current year’s VCCC President or his/her designate. There are two awards, one for Pre-war and the second for Post-war. j. The Best Original Class differs from all the rest of the classes insofar as it is intended to encourage the preservation of vehicles in their original condition. Because the rules covering this class are unique, participants are asked to check them carefully before entering their vehicles for judging. If you have any question as to the eligibility of your vehicle, you should contact the Chief Judge for clarification in order to avoid disqualification at the judging site. An eligibility certificate must be completed by the owner of the vehicle. Contact the Chief Judge before the event. v. Not more that 50% of the interior replaced. A combination not exceeding 150% is acceptable. The above examples illustrate that any combination of maintenance designed to keep the vehicle on the road will not, in itself, prevent the vehicle from being judged in this class. Only compliance with the foregoing will allow the vehicle to be eligible for judging. Points may be deducted at the Judge’s discretion depending upon the amount of apparent restoration. 2. All other items will be judged under the same conditions as apply to restored vehicles. vi. All replacement items must resemble the original items in every detail. 4. Bonus points will be added to the final score to compensate for the age of the vehicle. Two points per year beginning in 1975 for every year of the vehicles age. Note: Vehicles newer than 1975 may not be judged unless approved by the Chief Judge. 1975 minus 1960 = 15 years times 2 points per year = 30 bonus points. 1975 minus 1935 = 40 years times 2 points per year = 80 bonus points. Anyone wishing further information or clarification on any of the foregoing should contact the Chief Judge. Please note: It is the car owner’s responsibility to place their vehicle in the proper class. A vehicle may be disqualified if it is not registered in the proper class or at the discretion of the Chief Judge. Registration for judging will only be accepted by written application prior to the May Tour. k. Willy Bransford Memorial Award is presented to the highest scoring Ford vehicle and is chosen by a special committee appointed by the Chief Judge. It does not have to be entered for judging. l. Harold & Nancy LeMay Award is presented for the Peoples Choice award. The May Tour Host Chapter is responsible for setting up the balloting procedure for the Peoples Choice award. The host chapter is to report the winner of the award to the Chief Judge prior to award presentation. m. Most Elegant Pre War Vehicle Award. The vehicle will be chosen by a special committee appointed by the Chief Judge. It does not have to be entered for judging. This presentation may be presented to the recipient on behalf of a tour sponsor. n. Most Elegant Post War Vehicle Award. The vehicle will be chosen by a special committee appointed by the Chief Judge. It does not have to be entered for judging. This presentation may be presented to the recipient on behalf of a tour sponsor. The safety inspection will be conducted before the judging begins. It will be the responsibility of the Host Chapter to provide chapter members to conduct the safety inspection. The Chief Judge will provide the chapter with the appropriate information to conduct the inspection. The Chief Judge may choose to cancel the safety inspection. 1. Engines will be started for judging and all lights and gauges will be inspected. 2. Failure to have a UL approved fire extinguisher will result in disqualification. 3. Trunk interiors and glove boxes may be inspected but will not be judged. a. Tires: All tires must be matched with the exception of the spare. Whitewall tires must be the proper style. Radial tires will not receive a deduction if correct for the year and make of vehicle. Only number size tires will be accepted for judging; non number tires will receive a mandatory 2 point deduction per tire (maximum deduction of 8 points for all four tires). Letter size tires are not acceptable. Metric size tires are acceptable on foreign cars only. A vehicle manufactured with bias ply tires should have them, however no points will be deducted if the proper numbered radial tires have been substituted. b. Trippe and Pilot Ray driving lights are accepted on Classic and certain Pre WW II vehicles. c. Turn signals and battery operated switches are accepted providing they are installed in a manner in keeping with the design of the vehicle, using authentic wiring and in good taste. d. Seatbelts and child restraints are accepted if neatly installed. e. Outside rear view mirrors are accepted if they are of the correct vintage or are in keeping with the vehicle. These are considered safety items. f. First use of Metallic paint was November 7, 1927.
g. Painted exhaust systems will receive NO deduction provided it is done in a tasteful manner. h. All radiator clamps must match each other. All heater hose clamps must also match each other. i. Authenticity: A truly authentic part or component is one that might have come with the vehicle when the vehicle was made. However, a reproduction part, exact in every detail, is accepted as authentic in a restored vehicle. j. Batteries may be of modern manufacture but should appear as original. Batteries must be black on vehicles prior to 1954. Fluid refill entry openings are required. A maximum of 10 point deduction will be required for modern maintenance free batteries (reproductions are available). If the battery is incorrect but has removable filler caps a 5 point deduction is appropriate. Battery Toppers are acceptable with no deduction. k. All vehicles must be driven on to the judging field under their own power except those vehicles entered as Vintage Racers or Motorcycles. These vehicles may be towed or pushed to their positions on the judging field. These vehicles will be checked for operation under the direction of the Chief Judge. l. Add-on trunks must be of the correct size and construction, be aesthetically proper and in keeping with the rest of the vehicle. It will not be necessary for the owner to authenticate them. m. Add on electric fuel pumps are considered non authentic but will receive no point deduction if installed inconspicuously. n. Modern radiator core material in lieu of honey comb or early type core material is non authentic and will receive mandatory deduction of 15 points under the authenticity section. o. Nylon carpet is acceptable for replacement if the pile is the same in style and colour as the original. The piping must also be the same style as the original. If the carpet had a cut pile style, the replacement must be the same style or a mandatory deduction will be applied. p. Badge Display: Club Badges will not be subject to a deduction if they are appropriate to the vehicle and displayed in good taste. Excessive badges will result in a deduction of not more than 4 points. A National Marque Award Badge displayed on the vehicle will not receive a point deduction. All Senior VCCC vehicles must display their Senior Badge for entry into the Senior class category or are subject to disqualification. Disqualification will be determined by the Chief Judge.